United Nations Security Council S/2007/584. The Antonov crash-landed at El Fasher (ELF), coming to rest near the runway 05 threshold. The nr.1 engine was destroyed. The rebel National Redemption Front (NRF) claimed it had shot down the airplane near Sayah, but this was apparently not the case since the El Fasher Airport was closed briefly and the Antonov was seen damaged next to the runway that same day. 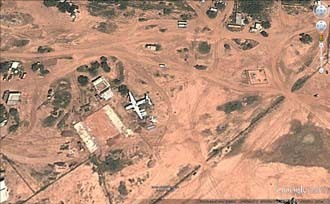 Ist das die ehemalige AN-26 "374" , MSN:10407, vor ihrer Zerstörung in AL Fasher/Sudan? El Fasher - auf der Abstellplatte ist eine AN-26 zu sehen. Im oberen Teil der Abbildung sieht man eine zerstörte AN-26. Ist das die ehemalige 374, die ST-ZZZ ? or any other similar organization”. photographic and expert analysis and comparison to field evidence from earlier bombings, to be rows of bombs guarded by SAF soldiers (see fig. 20). 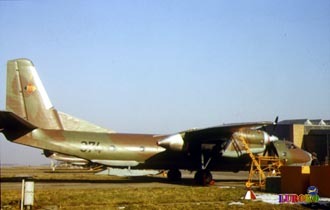 This aircraft had “UN” markings on the upper aspect of its port (left) wing. 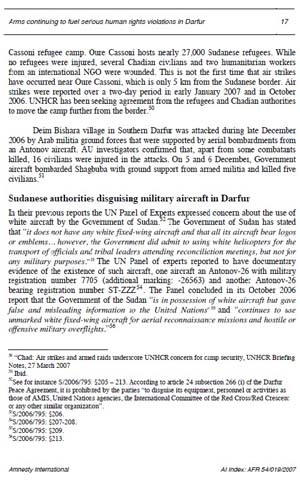 The use of white aircraft bearing “UN” markings in Darfur by the Government of the Sudan was reported to the Committee in a dedicated case report on 10 March 2007 (reference: 1591P/M4-3/0307). The aircraft also had the numbers 26563 on its fuselage. The number 26563, with the country prefix deleted, is confirmed through correspondence as having originated in the Russian Federation. The number 7705 on the forward fuselage and tail is the Government of the Sudan registration number. The Panel confirmed with the Government of Kazakhstan (whose civil aviation aircraft use the prefix “UN”) that there has never been an aircraft registered UN-26563 in Kazakhstan. 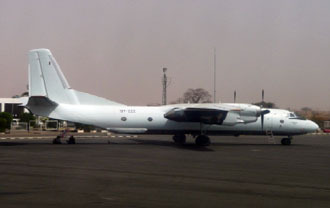 The Panel obtained documentation from the Russian Federation (whose civil aviation aircraft use the prefix “RA”) that an AN-26 aircraft registered RA-26563, with the serial number 3506, was sold to AZZA Transport in the Sudan in March 2004.
the case [that the aircraft was for use in military activity in Darfur] … and … that it is an ordinary transport aircraft …”. Commander stated that white Antonov aircraft had been used to drop bombs on one occasion: on 7 October 2006. 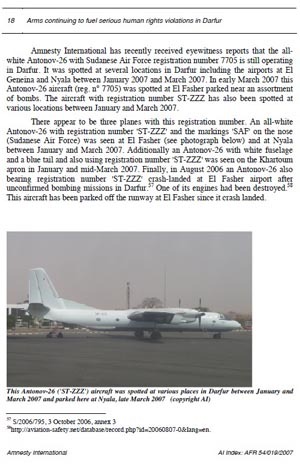 When the Panel requested clarification of this admission from SAF Central Command in Khartoum (on 20 May 2007), the Western Military Area Commander said that he originally meant that the Antonov aircraft were used for military reconnaissance, not aerial bombardments. In either case, these statements contradict the assertions of the Government of the Sudan in its letter to the Committee. strikes. The Panel visited the area of Umm Rai on 10 May 2007 and conducted its own primary investigations into the attacks. 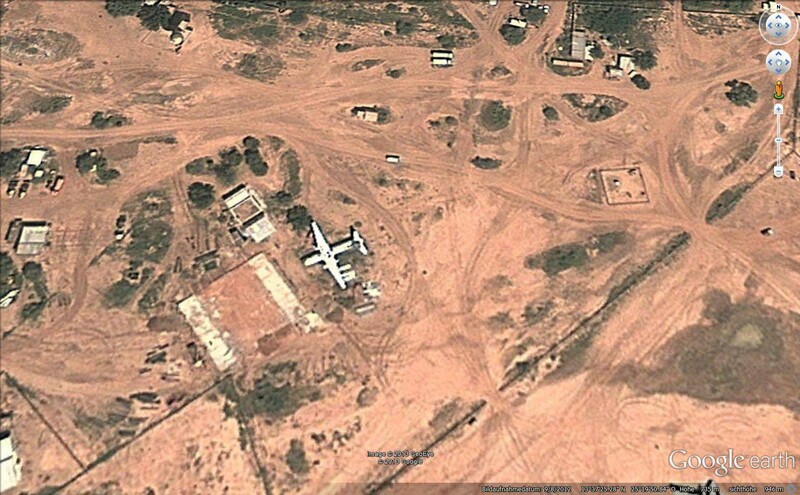 Government of the Sudan white Antonov aircraft registration number 7705 to confirm the “UN” markings on the upper-port wing. 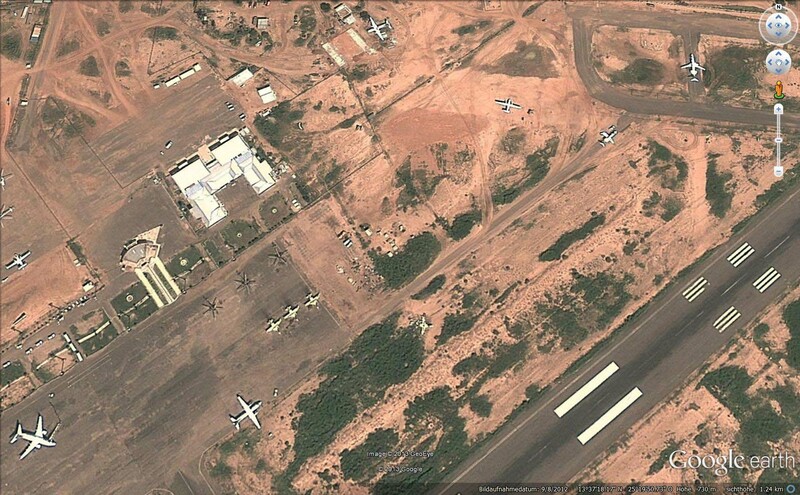 The representatives from SAF mentioned that the plane was in Nyala, Southern Darfur. The Panel made several attempts, through SAF and the Ministry of Foreign Affairs, to organize such a viewing in a convenient location, and Panel members made themselves available during a visit to Nyala between 24 and 28 May 2007 to view the aircraft. The Government of the Sudan finally facilitated inspection of the aircraft by members of the Panel of Experts in Khartoum on 27 August 2007. The Panel’s inspection of the aircraft registered No. 7705 revealed that it had recently been repainted, and any trace of registration numbers on the upper aspect of the wings had been thoroughly removed prior to repainting. The Panel was able to confirm from the aircraft’s logbook that this aircraft’s serial number is 3506, showing it to be the same aircraft as the one previously registered in the Russian Federation. 206. The Panel requested, on numerous occasions since January 2007, a meeting with the director of SAF to discuss issues related to the use of aircraft for military purposes in Darfur. The Government of the Sudan has, as of the time of writing this report, not facilitated that meeting. 207. The use of Antonov aircraft in aerial bombardments has been acknowledged by representatives of the Government of the Republic of the Sudan themselves. The following example is a case in point. An African Union Ceasefire Commission ceasefire violation report found that ground attacks in Deim Bishara in December 2006 were followed by aerial bombardment by a Government of the Sudan aircraft. registration number and “UN” marking removed (see fig. 21). International Airport. 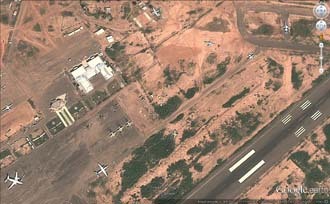 The Sudanese Civil Aviation Authority informed the Panel on 24 January 2007 that no more than one aircraft could have the same registration number and that registration numbers are not reassigned if the aircraft becomes unserviceable or is decommissioned. Subsequent to that meeting, the registration number of the crashed AN-26 was removed. 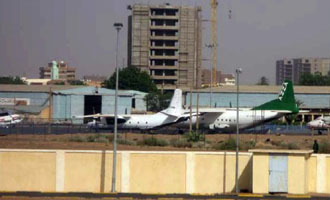 At a meeting with the Director General of the Civil Aviation Authority on 17 July 2007, he stated that there was no AN-26 in the inventory of Sudanese registered aircraft with the registration number ST-ZZZ. 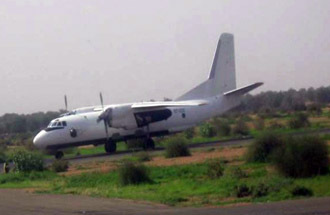 210.The Panel believes that the white SAF AN-26 registered ST-ZZZ currently operating in Darfur has been fraudulently marked with a civil aviation registration number apparently without the authorization of the Sudanese Civil Aviation Authority..."